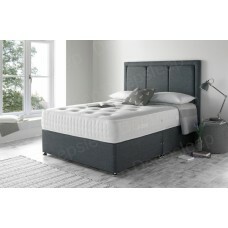 The Wheatley divan set (Mattress & Base) has a 9 inch (23cm) hand tufted Open Coil and Memory Fo.. The Buckingham 1000 Divan set (Mattress & Base) has a 9\" (23cm) deep hand tufted, 1000 pocket s.. 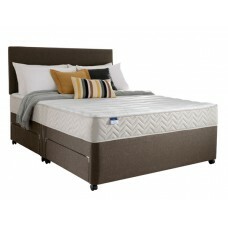 The Silentnight Sterling Ortho divan set (Mattress & Base) has a Miracoil 3 spring system mattre.. 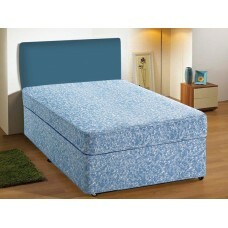 The Silentnight Pocket 1000 divan bed (Mattress & Base) has a 1000 Pocket Sprung mattress which .. 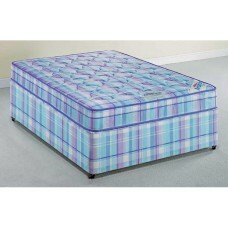 The Rest Assured Memory 800 divan bed (Mattress & Base) has a 800 pocket sprung mattress with a .. The Myers Pocket 1000 divan bed (Mattress & Base) contains 1000 pocket springs for exc.. The Sleepeezee Memory 1400 Divan Set (Mattress & Base) has a 10 inch (25cm) deep hand tufted 140.. The Millbrook Cotton 2000 divan bed (mattress & base) is handmade using the finest nat.. The Myers Memory 1400 divan bed (Mattress & Base) has a 1400 pocket sprung mattress which provid.. The Silentnight Pocket 1200 divan bed (Mattress & Base) has a 1200 Pocket Sprung mattress which .. The Millbrook Ortho 2000 divan bed (mattress & base) is handmade using the finest natu.. The Silentnight Gel 1400 divan bed (Mattress & Base) contains 1400 supe.. The Silentnight Pocket 2800 divan bed (Mattress and Base) has a 2800 Mirapocket sprung system w.. The Silentnight Geltex Ultra 2000 divan bed (Mattress & Base) has a 2000 Mirapocket sprung ..